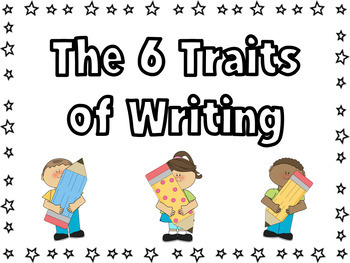 Use the 6 Traits Posters on a bulletin board. 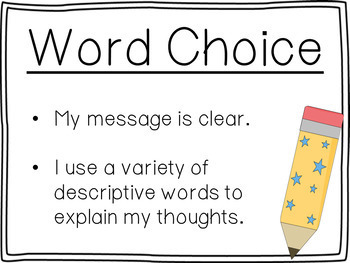 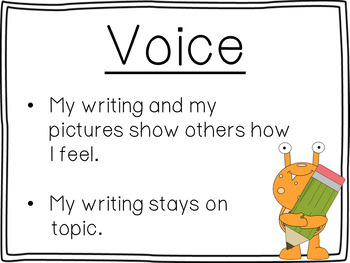 Keep them posted as a quick reference for your students or for use during a writing lesson. 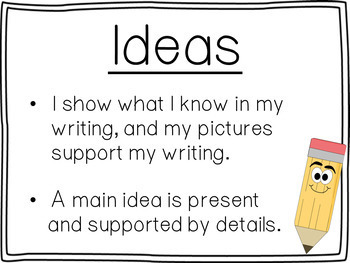 Color the frames (optional), copy on colored paper (optional), laminate, and display.